If you love your feathered friends as much as I do, you’ll want to add them to your gift list this season. 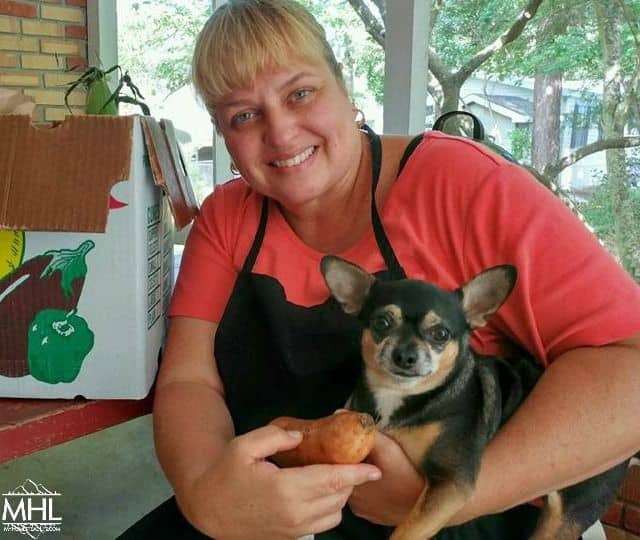 So what is the perfect gift to get your poultry pets? From hand-made to store-bought, we have 5 Amazing Chicken Gift Ideas for every budget. 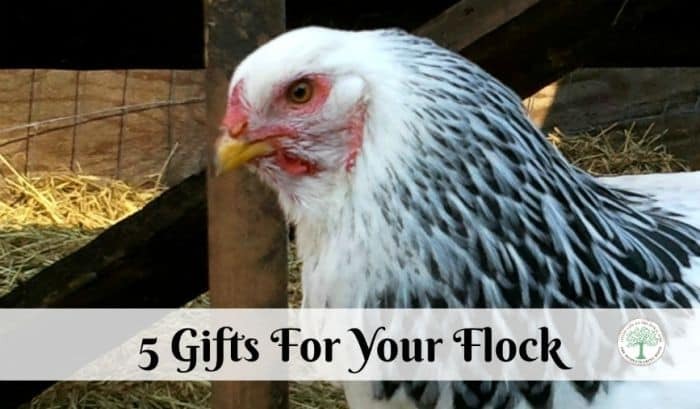 These unique chicken gifts are sure to make the chicken keeper in your life smile! If you have laying hens, then crushed oyster shells are the perfect gift idea for your flock. Grab some here. We give our girls (our chickens) free choice oyster shells all year long. By offering free choice, they eat what they need and when they need it. It must be working because our girl’s eggs are never soft or overly easy to crack. We made a simple free choice calcium feeder with a 3” PVC pipe and end cap. Not only is growing fodder for chickens highly nutritious, it’s incredibly easy. Poultry thrive in fresh vegetation so whether its winter where you live or you’re lacking green, fodder is a perfect solution for your flocks nutritional needs. In this article you will find easy to follow step by step instructions. Get plans for making your own system here. I’m not entirely certain if this will be a gift for your chickens or you! We’ve been entertained for countless hours by watching our chickens enjoying play time on their swing. Have we gone too far? Not at all! In fact, chickens can get bored pretty easy in confined environments. Swings provide the perfect amount of play time to beat the boredom blues. All you need to provide hours of chicken swinging fun is some simple supplies from your own back yard. For a complete list of instructions click here. This Chicken Swing is pretty awesome and all you need to do is find the perfect place to hang it. Do you practice rotational grazing? Have a problem with predators? Or cannot safely contain your chickens on your property? Then a Chicken Tractor is your answer! The benefits of this are that the chickens will get the bugs and grass from an area and fertilize it. Also, it will also be able to provide better protection from predators. Grab yours here. Are chickens vain? The answer is unclear but one thing is certain, chickens LOVE mirrors. Yep, chickens love looking at themselves in mirrors. Maybe not in the same way as the Kardashians, but chickens can keep pretty entertained by their own reflection. My grandparents raised and bred exotic birds my entire life (including chickens) and always had mirrors in their coops and cages. Chickens need to have companions, mirrors provide that false sense of companionship so they never feel lonely. This is one of the best novelty chicken gifts, because you can get creative with the frames AND it’s frugal! Just make sure you secure the mirror well so it doesn’t fall and break. Grab a shatterproof one here. Chickens love baths- dust baths that is. If you’ve ever seen your chickens rolling around in the dirt acting like they are having muscle spasms or a seizure, then you’ve witnessed a dust bath. While plain old dirt satisfies their dust rolling needs, making a bathing area can benefit both you and your chickens. In addition to containing the dirt, you can add supplements to the soil to help support your chicken’s health such as DE or herbs. For an easy DIY dirt bath for your chickens click here.